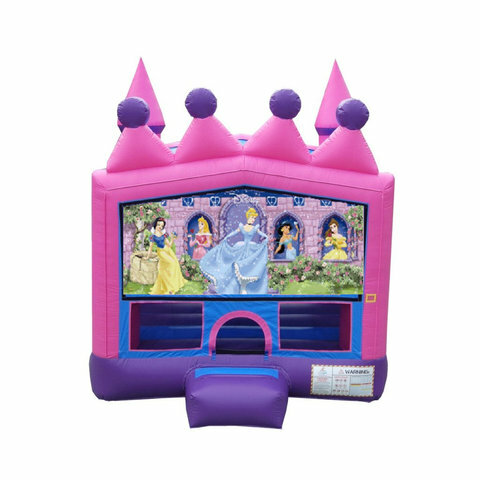 Disney Princess Tiara Bounce House Rentals | BounceGeeks.com Richmond, VA.
Every Birthday Princess Needs Her Tiara! Who is your favorite Disney princess? Belle from Beauty and the Beast? Aurora from Sleeping Beauty? Jasmine from Aladdin? Snow White? Cinderella? This magical Disney Princess Castle jumper has them all. The Disney princesses await your arrival for a fun time in an enchanted castle. This is perfect for your princess party, complete with tiara on top! 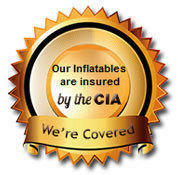 It provides huge bouncing area and basketball hoop at an amazing value! Easy visibility safety netting keep children playing safely. 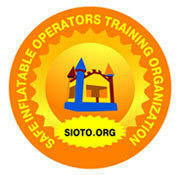 Promote healthy activity and lots of fun. Note: basketball is not included. If you want to use a ball, it MUST be something soft so no one gets hurt!